looking for an access point with a wide range of coverage ? with the ubiquiti wireless access point there will be no point, going closer to your access point each time your need wireless internet access, so your sure to get that signal right inside your rooms, kitchen and every each inch of your compound with ubiquiti wireless access point flexibility to be placed on every strategic place. the wireless access point with a default username and password as ubnt, is available as three different Wi-Fi 802.11n models, the UniFi AP is an Access Point ideal for deployment of high-performance wireless networks. The UniFi AP-PRO supports up to 300 Mbps, 2×2 MIMO for the 5 GHz band and up to 450 Mbps, 3×3 MIMO for the 2.4 GHz band. The UniFi AP is available for less than $100 USD MSRP, delivering high-performance Wi-Fi in a streamlined form factor. WLAN GroupsTake advantage of WLAN groups for flexible configuration of large deployments and enable wireless connection between APs to extend range. the same Layer-2 network, or off-site in a cloud or NOC. White Factory default, waiting to be integrated. Device is busy; do not touch or unplug it. as a firmware upgrade is taking place. integrated into a network and is working properly. This is used to locate an AP. When you click Locate in the UniFi Controller software, the LED on the AP will flash. It will also flash the location of the AP on the map three times and then stop. with occasional flashing Indicates the device is in an isolated state. 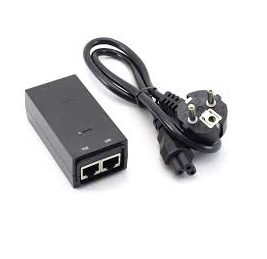 adapter or a compatible PoE device. port of the UniFi AP to the adapter’s POE port. 3. Connect the Power Cord to the adapter’s power port. Connect the other end of the Power Cord to a power outlet. This is all you need for your home and office to enjoy a long range internet access. I hope this article will be of benefit to you and i will like to thank you. ← Cloud and Remote Printing with Google Cloud Print On Your Android.